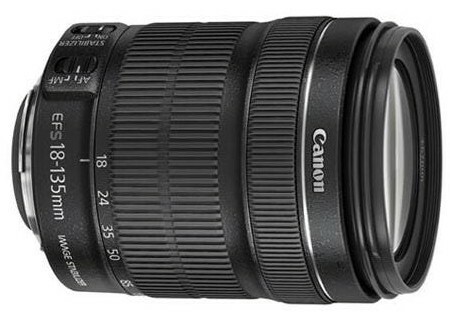 The EF-S 18-135mm f/3.5-5.6 IS STM comes with Canon’s IS (Image Stabilization) system that offers up to four stops slower shutter speeds while hand holding the camera. Its focal length range converts to 28.8-216mm on a 35mm format equivalent. This is a EF-S lens meaning it won’t work with full frame or APS-H sensor sized Canon DSLRs. 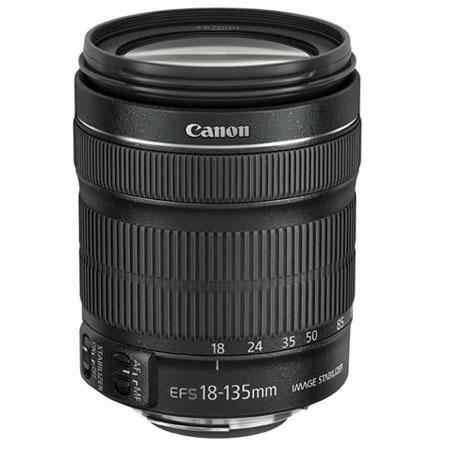 This lens shares same specs of EF-S 18-135mm f/3.5-5.6 IS USM lens without STM feature. The lens has a total of 16 elements arranged in 12 groups. The lens diaphragm is made by 7 rounded blades. The lens has a wide f-stop f/3.5 at 18mm and f/5.6 at 135mm. The lens is suitable for creating those soft out of focus effects (bokeh) in portraiture. The diagonal angle of view of the lens is 11° 30′ – 74° 20′. Auto to manual focus switch is provided and just a flick of the switch allows you to switch and then lock manual focus. An interesting feature of the lens is that it is compatible with the Movie Servo AF feature of the Canon Rebel T4i. Auto-focusing is very quiet and very smooth on the EF-S 18-135mm f/3.5-5.6 IS STM. The minimum focusing distance of the lens is 1.3’ or 0.39 meters.